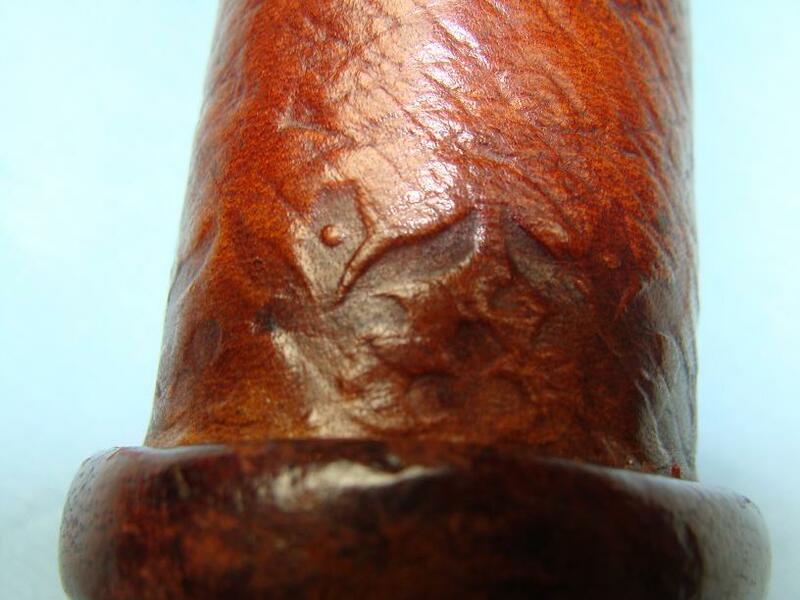 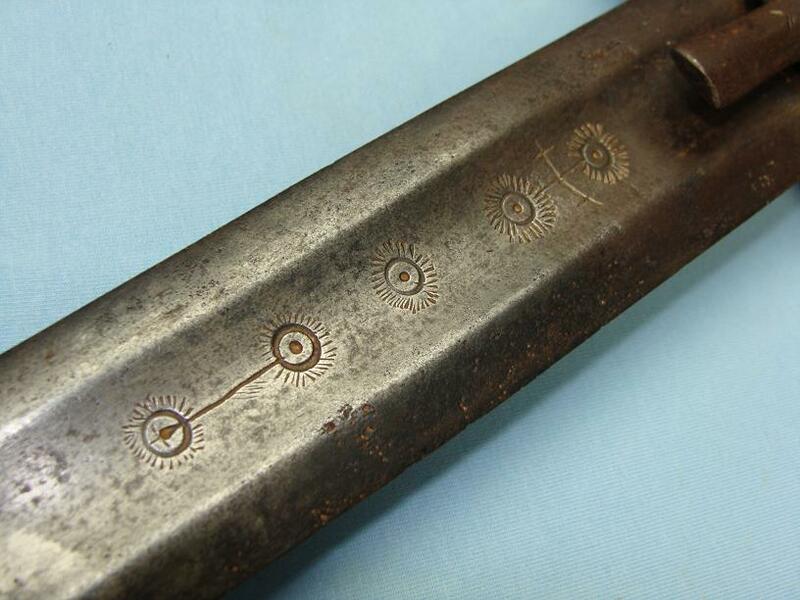 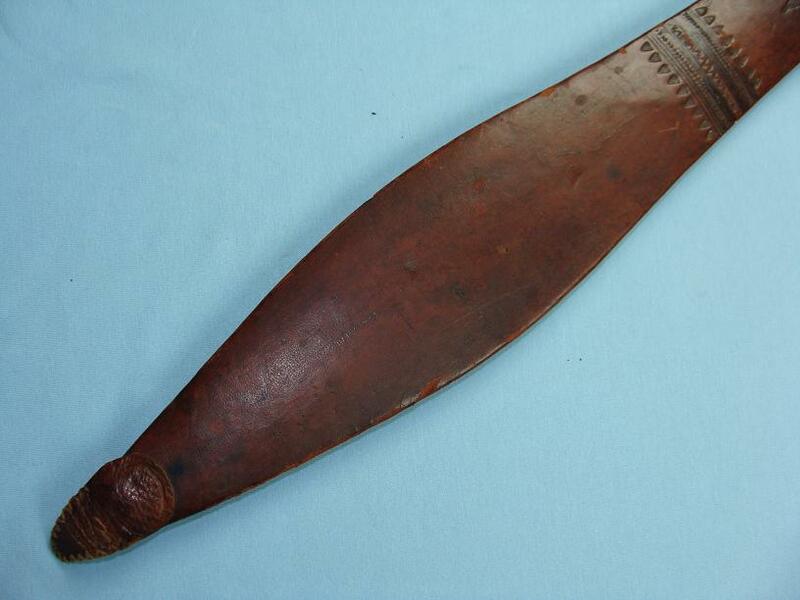 A very fine Sudanese Kaskara of good form, good provenance and unusual markings. 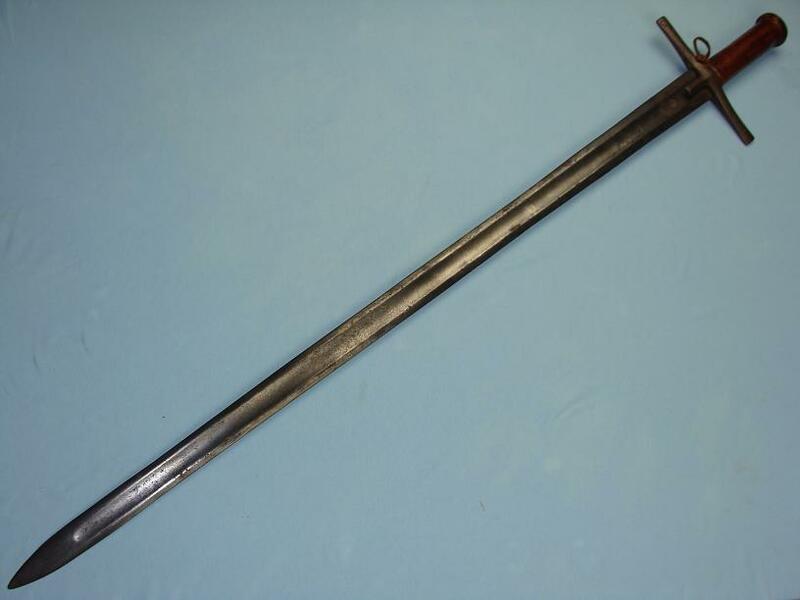 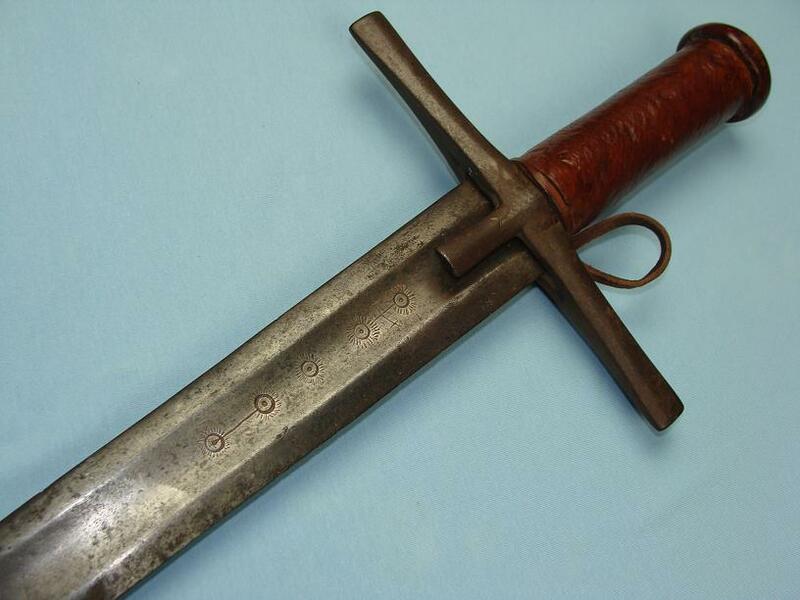 Overall this sword is 101cms in the scabbard, 99cms out with an 86cms single fullered double edged blade. 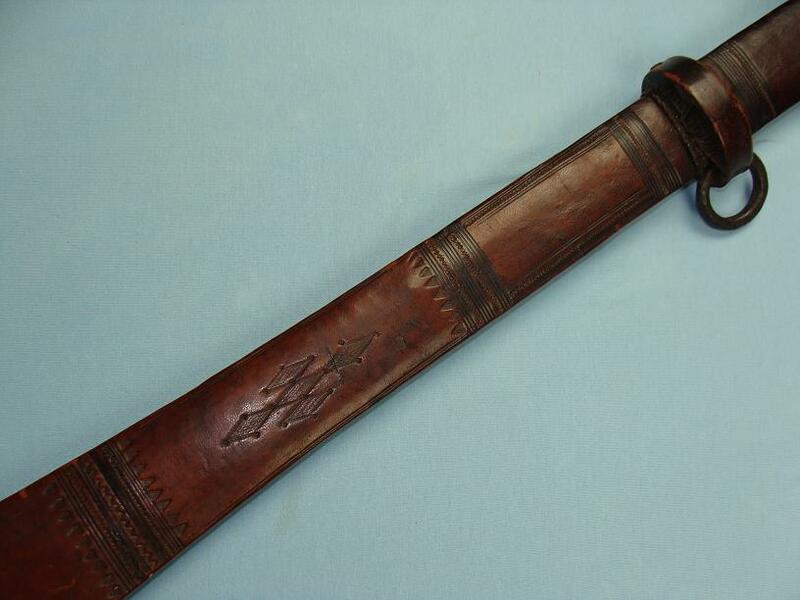 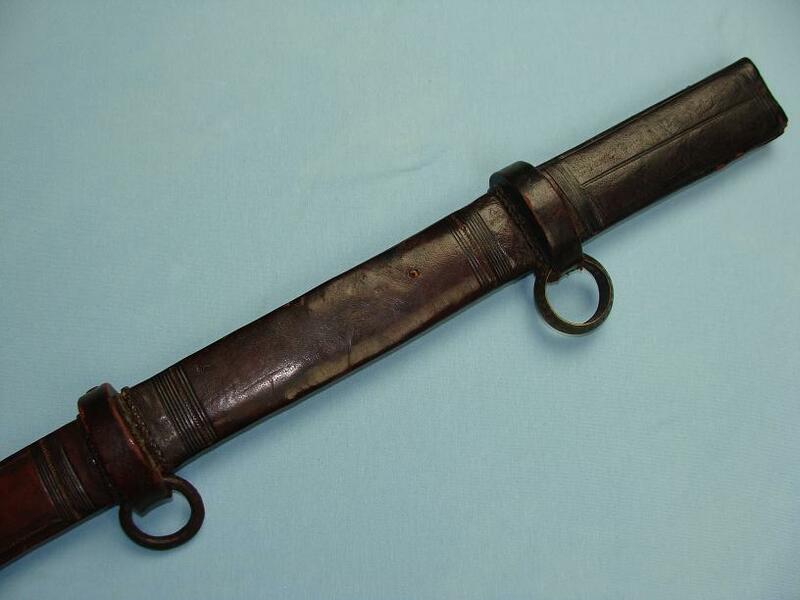 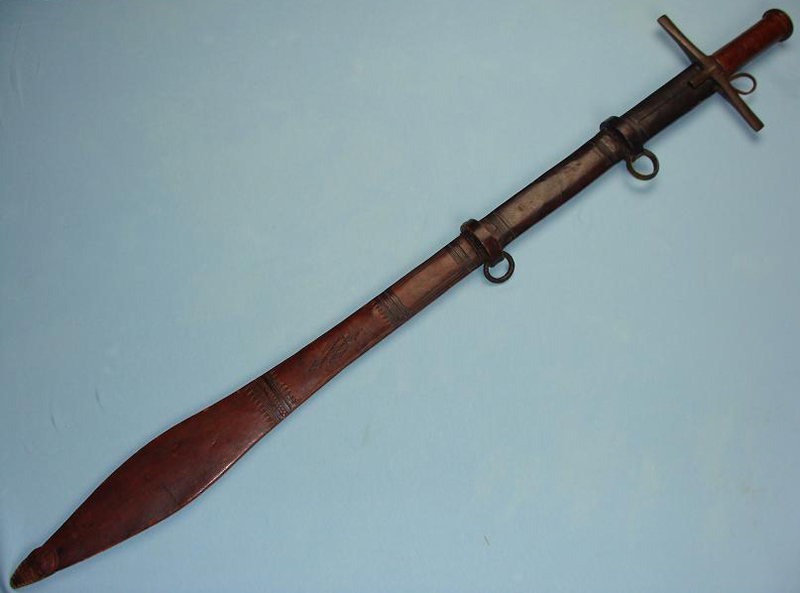 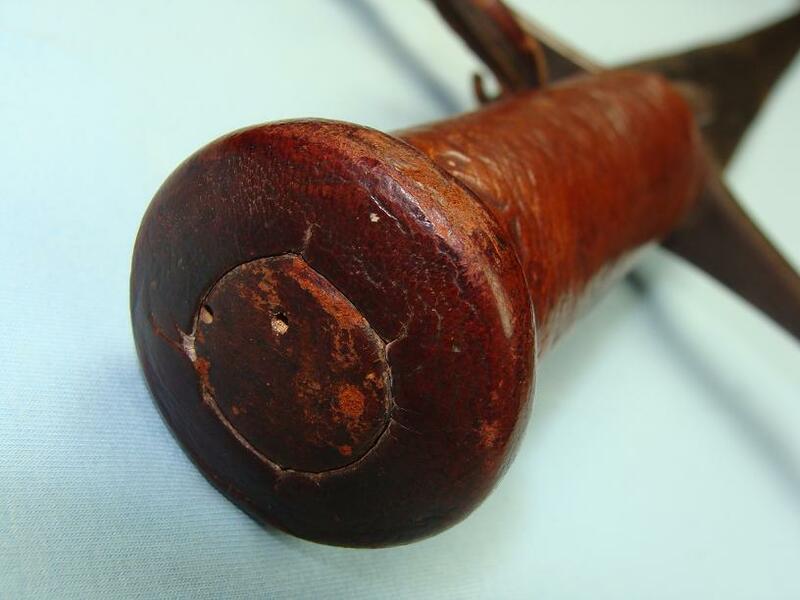 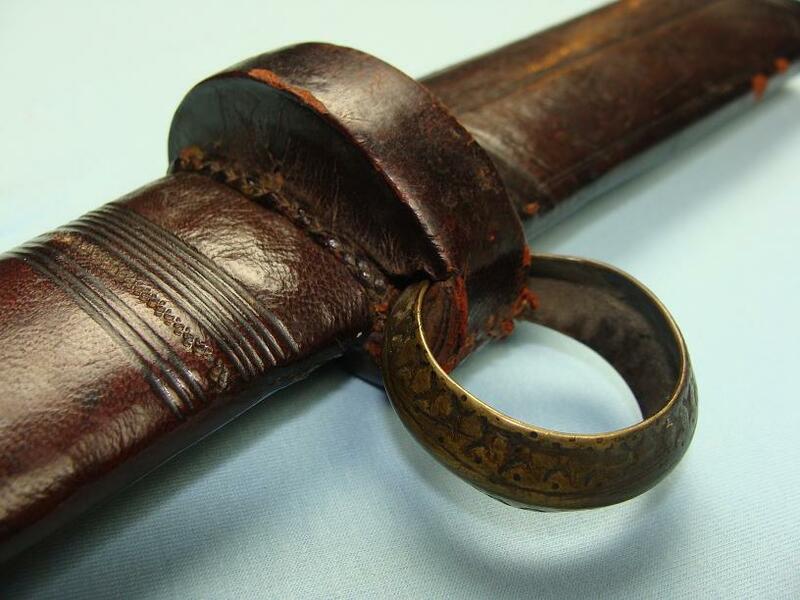 The hilt shows tooling to the ends of the leather grip and a thumb ring remains intact. 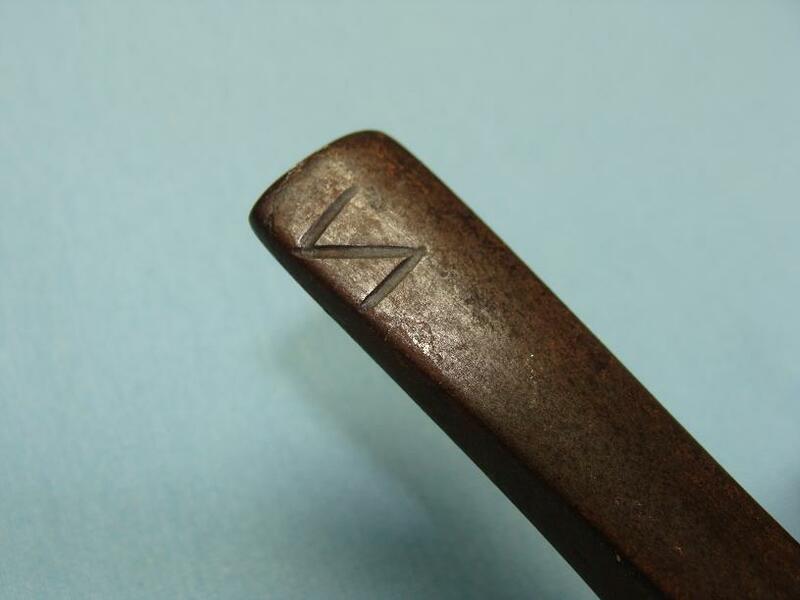 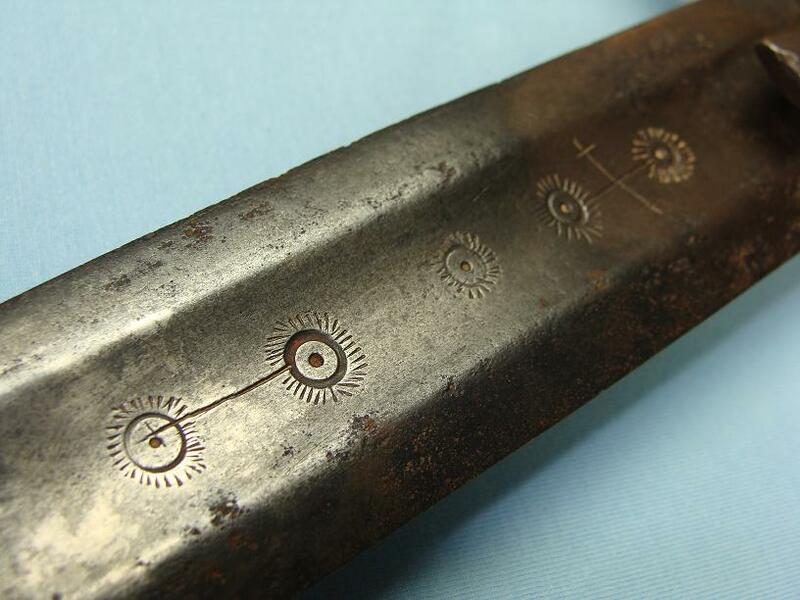 The cross guard is of forged iron construction and a reverse 'Z' to one end. 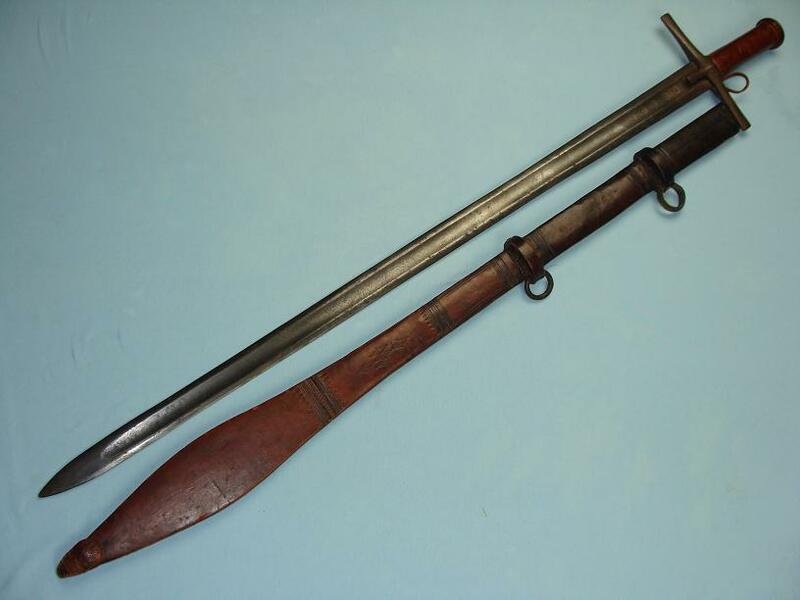 The blade, most likely European in origins has a nice old original dark patina and exhibits to the forte numerous unidentified lines and sun like markings with the line work differing on each side. 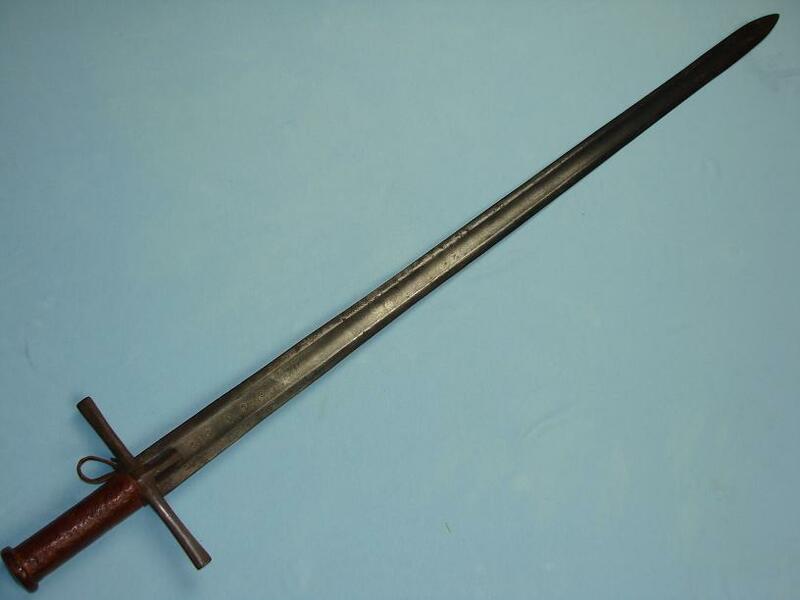 The blade has very good flex and spring but is slightly loose within the hilt. 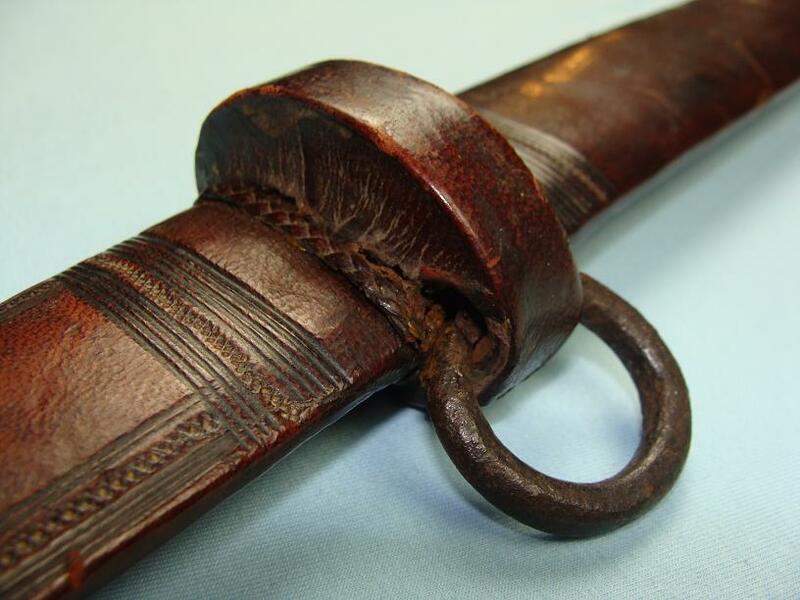 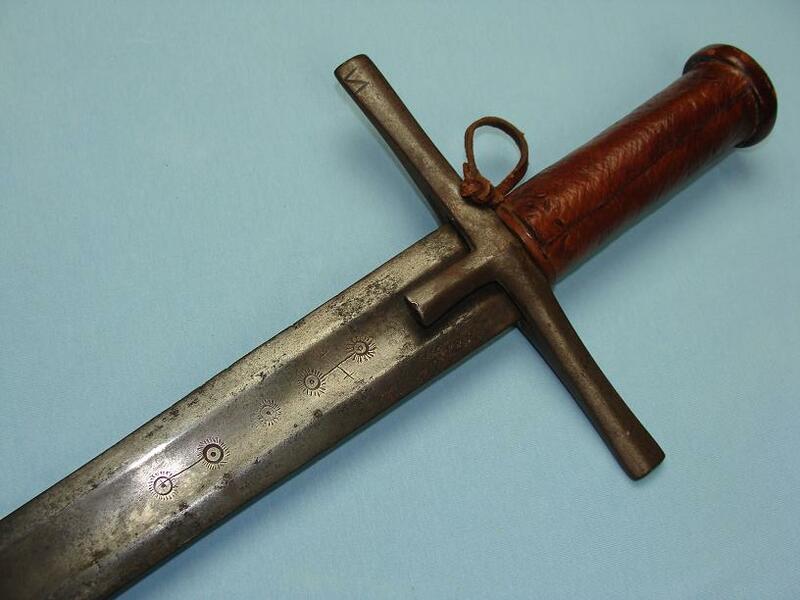 The scabbard is expertly tooled and stitched with raised discs holding the differing suspension rings with the upper suspension ring being tooled brass and the lower being iron. 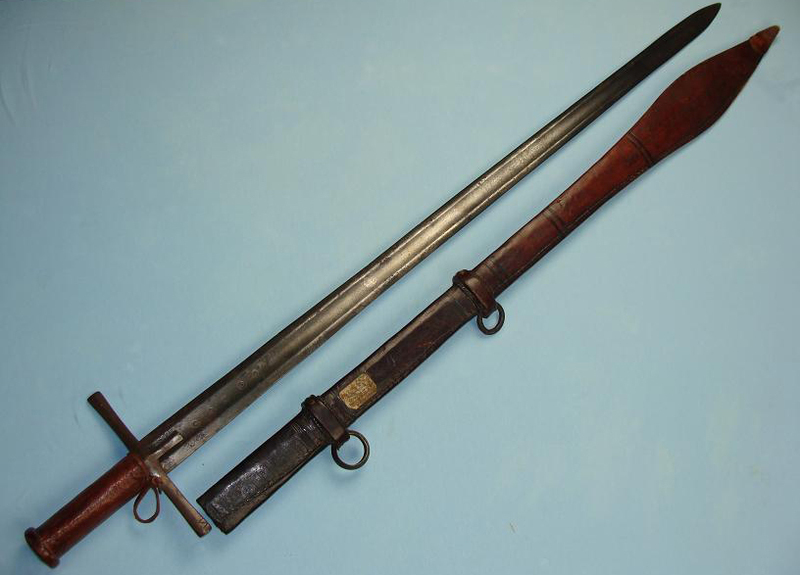 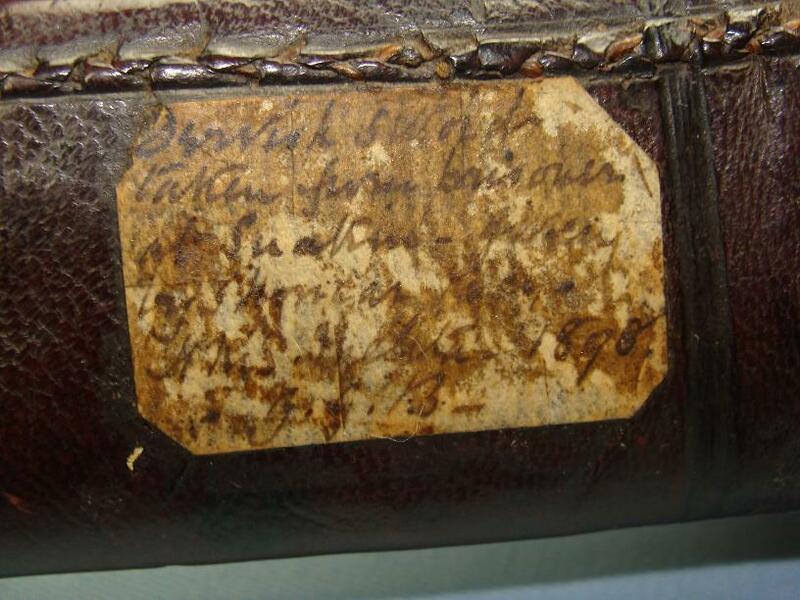 There is an old collection tag attached to the rear just below the upper suspension loop, largely illegible now due to staining but what can be read is "Dervish sword taken from prisoner at Suakin ... ... ....HMS Melita 1898 JGB"
A very fine well presented sword in outstanding condition and with good history worthy of further research.